Imprisoned Palestinian journalist and director of Al-Quds TV Alaa Rimawi said on Sunday, 19 August that the arrests carried out by Israeli occupation forces against Palestinian media and journalists are part of a comprehensive attack on Palestinian media, preventing it from doing its work and minimizing its role in publicizing Palestinian realities. In a statement released by his family and lawyer, Rimawi said that this agenda was clear during the interrogation sessions he was subjected to personally in the past two days. He also noted the cases of journalist Ali Dar Ali, arrested by occupation forces, and the administrative detention of journalist Mohammed Muna, saying that these attacks reflected the same purpose. He called for a unified position in support of Palestinian journalists from the International Federation of Journalists, Arab Press Union and other concerned bodies around the world to come together with a unified goal of protecting Palestinian journalists under occupation. Occupation arrests of Palestinian journalists like Dar Ali, Muna, Lama Khater and others, and the forcible closure of media institutions by military bodies have escalated recently, under various pretexts and charges. Samidoun Palestinian Prisoner Solidarity Network joins the call of Palestinian journalists for greater global solidarity against the ongoing attacks of the Israeli occupation. From the International Federation of Journalists to Reporters without Borders, international voices who are concerned with human rights of reporters have a responsibility to defend Palestinians facing colonial imprisonment for reporting the reality of apartheid, colonization and injustice. The imprisonment of Palestinian journalists can also not be separated from the killing of Palestinian journalists like Yaser Murtaja and Ahmad Abu Hussein in Gaza in the Great March of Return. The attacks on Palestinian journalists – including student journalists – also underline the importance of the boycott of Israel, including the cultural and academic boycott. So long as Palestinians – including Palestinian journalists – are not free, the Israeli state and its associated institutions must be isolated by people of conscience and human rights defenders around the world. 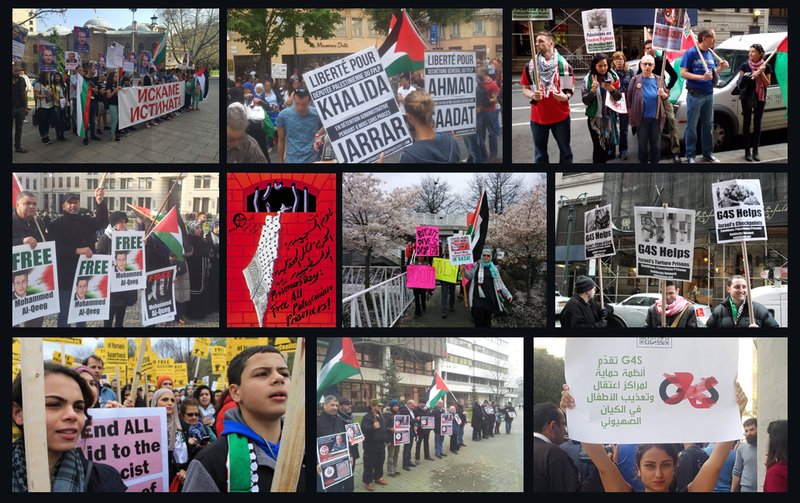 Freedom for all Palestinian prisoners – Freedom for Palestine! New Samidoun chapter launches in Gothenburg, Sweden!